The Minister for Economic Development, Dr. Grant Gibbons said he is pleased to acknowledge that a Bermuda-based insurance pool could begin paying as early as this week some $25 million to support food-insecure regions in three African countries. The Minister was responding to word that policies had been triggered at the Bermuda-based catastrophe insurance mutual, Africa Risk Capacity Insurance Company Ltd [ARC Ltd], which require payments to protect millions of residents from poor crop performance as a result of drought. The Minister, the BMA and local private sector partners were directly involved in talks that led to the incorporation of the company in Bermuda. The Minister reported to Parliament last year that Bermuda was selected over Switzerland after much discussion. The company was launched in May 2014 to issue insurance policies against drought to an initial group of five African countries: Kenya, Mauritania, Mozambique, Niger and Senegal. It would allow the countries to respond quickly to a developing drought crisis, relying less on uncertain international aid. Germany and the United Kingdom contributed the initial capital and are founding members of the mutual. 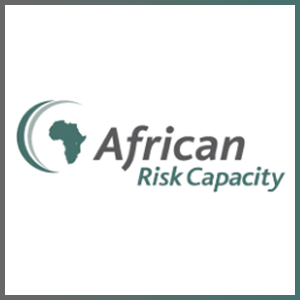 The aim of the ARC catastrophe insurance pool is to reduce African governments’ reliance on external emergency aid. International assistance is secured through an appeals system and then allocated on a largely ad hoc basis once a disaster strikes. Therefore, African governments affected by disasters can be forced to reallocate funds from essential development projects to crisis responses, exacerbating problems in other areas of their economies. Prior to the formation of the company in May, representatives from ARC and other agencies visited Bermuda on a number of occasions over 18 months to meet with the Minister and the Bermuda Monetary Authority. Minister Gibbons noted: “The BMA provided significant technical support and advice. In addition, I would like to acknowledge the substantial contributions of our local private sector partners, including Marsh IAS, the insurance manager in Bermuda, Willis Group as reinsurance broker as well as Appleby Bermuda, who assisted with ARC Ltd’s incorporation and start up. The insurance policies issued by ARC Ltd provide a total of approximately $135 million in drought insurance coverage tailored to the specific requirements of the insured countries. In addition to its own capital, ARC Ltd has secured $55 million of capacity from the international reinsurance and weather risk markets in order to cover the risks it is taking on from the participating countries. ARC Ltd utilises a new software application called Africa RiskView developed by the UN World Food Programme to estimate crop losses and drought response costs before a season begins and as it progresses, triggering insurance pay-outs at or before harvest time if the rains have been poor. ARC’s cost-benefit analysis estimates that spending one dollar on early intervention through ARC could reduce ultimate economic impact by as much as four and a half dollars.